In the summer of 2012, twelve years after arriving in Spain, the Reids moved location to Catalunya in the North East. For the previous eight years they had been working in Algeciras, in the very south where Andrew had been pastoring the Cristo Viene church. 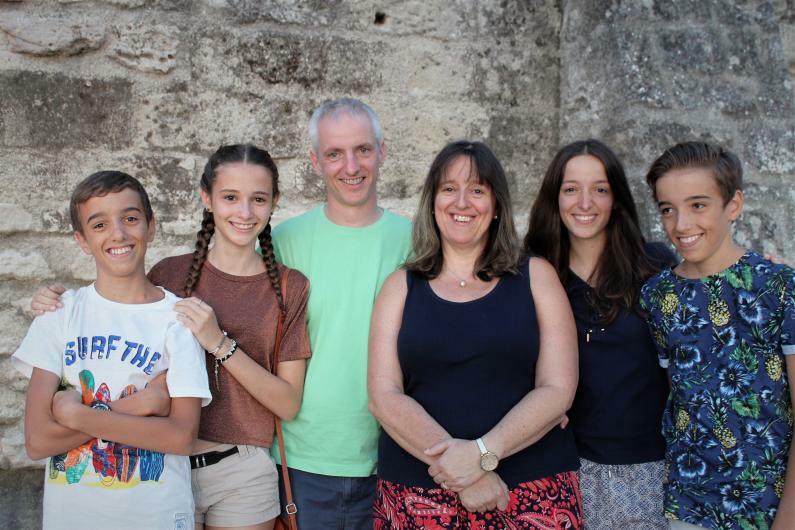 Andrew now serves as the Principal of the EET, the Evangelical School of Theology, which belongs to our partners the Federation of Spanish Independent Evangelical Churches. The School is primarily a distance learning school, teaching to degree standard via a sophisticated internet platform. Andrew now teaches different subjects including Evangelism and Apologetics via this medium. However his main role is to develop a whole new package of intensive weekend courses to provide ongoing in-ministry training for the pastors and elders of the denomination. Many of them have secular jobs and cannot undertake full-time study. There are particular critical needs and perhaps top of the list is the need for training in expository preaching. Andrew is developing training in this area both for the Federation and also in an interdenominational project linked to Langham Preaching. Ruth is a fulltime mother and homemaker. She also coordinates Kasal Kidz the weekly homework club which gives help to immigrant children who live in the neighbourhood of our church.